Shahi Mutter Paneer holds a definite spot in my menu if I have any vegetarian friend coming home for dinner, especially if they are from North India. 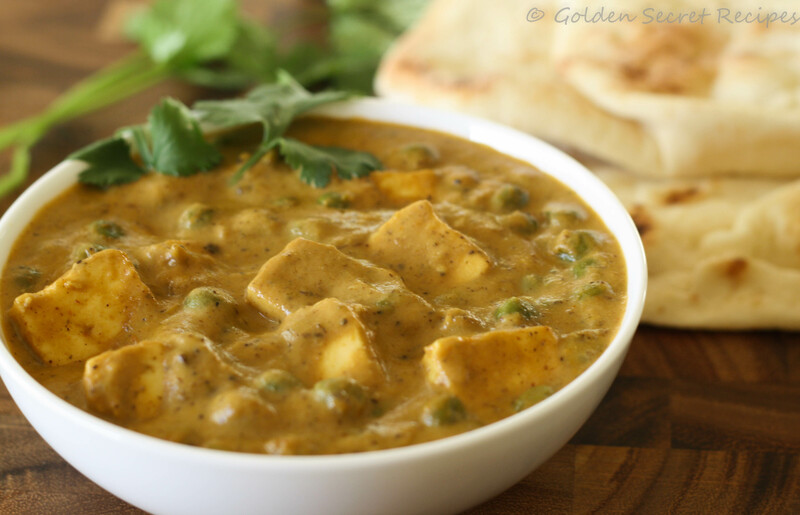 This dish is an absolute charmer with paneer lovers. For a change, I like this rich and creamy sauce myself and it is a perfect side accompaniment for Naan or parathas. 1. Heat oil in a pan and put whole garam masala(Cardamom, Cloves, Cinnamon, Black peppercorn, Cumin seeds and Fennel seeds) to it. 2. Once it splutters, put onion, ginger garlic paste, green chilli and salt. Cook in medium high flame and saute occasionally. 4. Saute for 1-2 mins till the spices cook well, till it turns light brown. 6. Then add dry kasuri methi(crush it by rubbing between your palms) and saute for 1 minute. Remove from heat and let it cool. 7. Meanwhile, boil green peas in microwave(for apprx. 7 mins) using little salted water(apprx. 1 cup). 8. Once the onion tomato mix cools down, using a mixie/blender, grind this into a smooth paste. This is the gravy base for your curry, so add water as required to make a thick gravy. 9. Heat ghee in a pan. Add bay leaves to it and once it turns light brown, add the gravy to the pan and let it boil. Please note that the gravy can splutter and cause burns if not careful. Keep it covered with a splutter protector. 10. 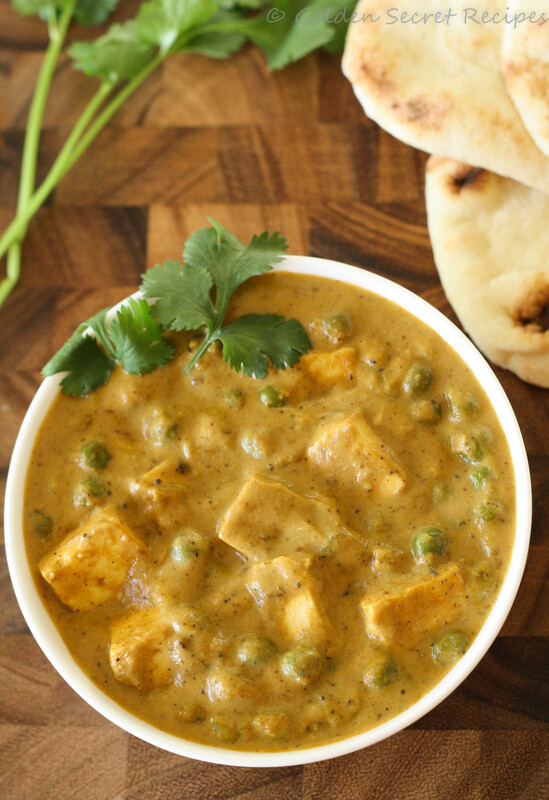 Add the boiled peas and paneer cubes to the gravy and let it boil in medium flame. Also put sugar and stir well. 11. Add heavy cream and/or yogurt to the gravy and mix well. Add water to bring the gravy to desired consistency. Let it boil for 2-3 mins and remove from heat. 12. Garnish with chopped coriander leaves.